Suzuki Airi is everyone's Idol. She is basically *the* idol of Hello! Project, maybe even the whole Idol world, if you wanted to start a fight. For so long, she has been the apple of our eyes, and has been the darling of Up-Front for as long as I can remember, because Suzuki Airi is absolutely amazing. Nobody can - and nobody should even try to - deny it. From day one, Suzuki Airi has been an incredible force of nature. Not only is she adorable and beautiful, but she is also incredibly talented, and by far Hello! Project's most seasoned, recognisable member. Of all the groups and members within the umbrella company, Airi is definitely the one that everyone knows, even if they aren't fans of H!P or any groups within it. And, though I have never been a big follower of the popular members (I am an underdog supporter, guys), I 100% understand why Airi is the face of H!P, and why she surpasses everyone else in popularity; because she is talented, and because she is amazing. You really can't say that her popularity is just because Up-Front pushed her a lot. Airi deserves all the recognition she gets. Not only is she incredibly talented, but Airi is pretty damn funny, as well! This girl, despite her demure appearance and quiet look, is a weird, nutty kind of girl with a goofy personality that seems like the polar opposite to her looks. Once, I really did think that Airi was just a quiet, sweet girl who was very serious and professional, however in recent years, I've come to realise that it's quite the opposite; she's silly, and proud of it! This girl is an incredible character, and over the years, she has used that aspect of her personality to shine even brighter than she already does. She doesn't hide it, like some people would. Airi embraces her weirdness, and lets her fans know what they are in for. It's extremely endearing, and I love that about Airi! It's made me appreciate her even more, and I've realised just how charming she is because of it. Unlike the rest of ℃-ute, Airi was one of my first Idols. Before I found out who Hello! Project were, and before I even delved into the likes of ℃-ute or Morning Musume, I was introduced to Buono through the anime show, Shugo Chara. I was in love with that show and manga series, and I really liked the music, too. Airi, at the time, was my favourite member of the group. She was adorable and quirky, and her smile was infectious. I thought, of them all, she really was the cutest member, and the one who had the best presence. In each music video, I felt like she truly enjoyed herself. At that time, I didn't know who she was; she was, to me, a singer in a trio of girls who sang anime openings I liked. And then I found out about Hello! Project (through Kusumi Koharu), and I finally put two-and-two together. It was quite a shock to me, I didn't think that Idols could be in more than one group! After that, I started to follow both Buono and ℃-ute, however, I noticed rather early on that I had two versions of Airi in my mind; Buono Airi, whom I liked, and ℃-ute Airi, who I simply tolerated. It was around the time of SHOCK's release that these feelings emerged, and at the time, I just did not like Airi of ℃-ute, because Hello! Pro staff had given her all the lines. It's how I was, way back when, and I was very salty about it. Therefore, I felt some form of animosity towards her, especially as I had developed a keen following for Okai Chisato. But, over time, that dislike faded away. I've never truly 'hated' Airi, nor have I disliked her greatly. I just had those feelings any new fan would, when their favourites aren't given the love you think they deserve. Still, as I am now, I regret those feelings a little bit; Airi really is a sweet girl, and she had no say in the lines she was given. H!P just did what they thought was best, only for it to turn on them. Fans were quite unhappy, and though I understand that Airi is their Ace, face and voice of ℃-ute, she is one-fifth of the group, not a soloist with backup dancers. It was wrong in my eyes, and mini-Chiima was not happy with that! I don't begrudge Airi of having lines anymore, by the way. She deserves them, and again, I understand why she is popular and why so many fans love and adore her. She truly is the Ace of H!P, and I think that once she leaves, Hello! Project is going to be missing some incredible talent. They don't have anyone else like her. Airi is basically H!P's biggest seller, from her looks, to her singing, to her stage presence. No other member can compare, and until they find someone just like her, H!P is going to have a giant hole to fill in the meantime. For such a long time, this incredible girl has provided us with her vocals and smile. Airi has given us some amazing music to listen to in all these years, showcasing the strength of her vocals from a young age, and leading ℃-ute vocally. Though she started out as a part of the 'leftovers' unit from the H!P Kids, Airi turned out to be one of the most profitable, memorable members thanks to her talent, beauty and charm. She has proven, again and again, that she is more than a pretty face. Suzuki Airi is, and always will be, a force to be reckoned with, and even after she graduates and goes her own way, she will always be our Idol. Because everyone's Idol will never go away. Our memories won't allow it. This girl has been a part of my Idol fandom, even before the Idol fandom began! Suzuki Airi has amazed and entertained me, and even in the days where I didn't appreciate her like I should have, she impressed me with her singing and presence. As the years drew on, I have come to adore and idolise this girl even more, and right now, I stand as a fan. 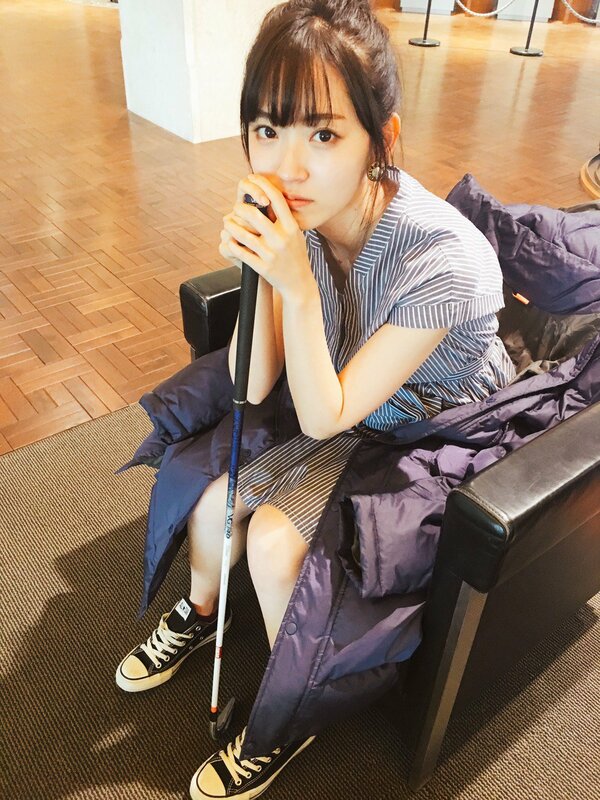 Suzuki Airi is a beautiful, charming girl who has presence, and she is someone that I will look back on fondly and remember. Though she did not bring me into the Idol world, the music she provided as a member of Buono helped me along in finding this path. 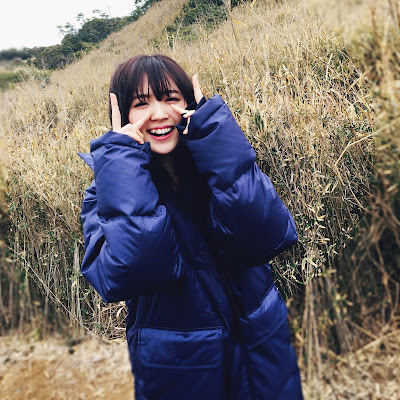 For so long, Suzuki Airi has helped my fandom to bloom, and even when I stepped out of the anime fandom, she was there as a member of ℃-ute and Hello! Project to greet me with open arms. From the middle and end of my anime days, to the beginning of my Idol love, Suzuki Airi was there. She was one of my beginnings. And now, I will be saying goodbye. It's something I am used to, by now, but like the rest of ℃-ute, Suzuki Airi has been a constant in my life, far longer than Kusumi Koharu or Morning Musume. She represents the starting line, but in a twist I never saw coming, she will be crossing the finish line. After all this time, I expected her to be here forever. She was never meant to go. Because she is Suzuki Airi, I expect that she will do great things. With her future set, and a goal to continue singing, I hope that Airi will continue to inspire others and introduce people to the world of Idols with her music, charm and smile. After so many years, she has given me such cheer, and whilst I don't want her career as an Idol to end, I do look forward to the future where she returns as a soloist. Her singing is powerful, her charm indescribable, and her personality one in a million. Suzuki Airi is Hello! Project's Ace, and once she is gone, there is going to be a lot to live up to. No one can ever replace her, though, because Suzuki Airi is precious, and irreplaceable. I'm just so darned lucky that I was able to have her as one of the Idols who introduced me to this wonderful world of music and happiness, and I am even more grateful that she was able to be an Idol in my life for this long. For being everyone's Idol, and for guiding me into this world, thank you, Suzuki Airi. I am forever in your debt. Suzuki Airi, 永遠にありがとう！ My beginning, my idol! Your singing will always be cherished! She is one of my all time favourite idols, and I am so heartbroken to see her go. Airi is goooorgeous TTOTT <3 I'm glad Airi and Kamei helped you find yourself. Airi was the love for many, she truly is an Idol in every way. She's wonderful. Good thing she's going solo. Airi definitely is precious and H!P will lose a shining star with her leaving. Ahh, SHOCK, that was a really dark time for all the girls. Even Airi didn't like that line distribution for that song.